To convert local project to server project, right click the project in Navigator and choose Convert to Server Project from the context menu. 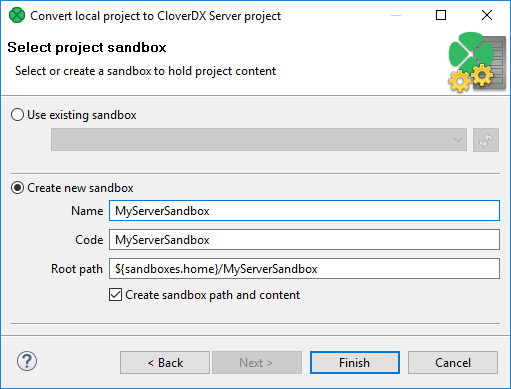 A Convert local project to CloverDX Server project wizard opens. 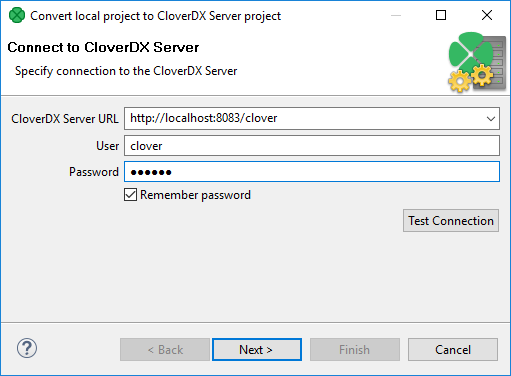 In the first step of wizard, enter CloverDX Server URL, User name, and Password. Choose Create new Sandbox. Enter the sandbox Name. You can change sandbox Code and sandbox Root path if you need a specific configuration.